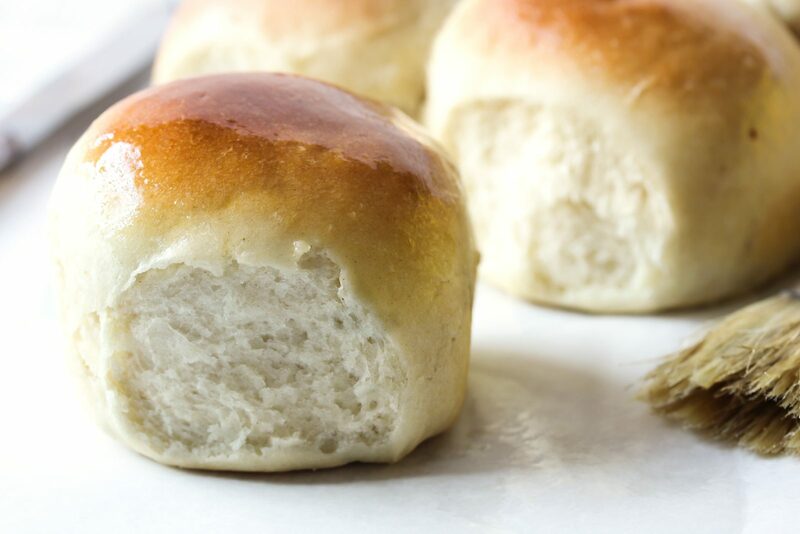 If you missed yesterday’s post, it’s all about Thanksgiving sides this week on ThePreppyHostess.com and today I’m sharing an absolute must have – Grandma’s Dinner Rolls. 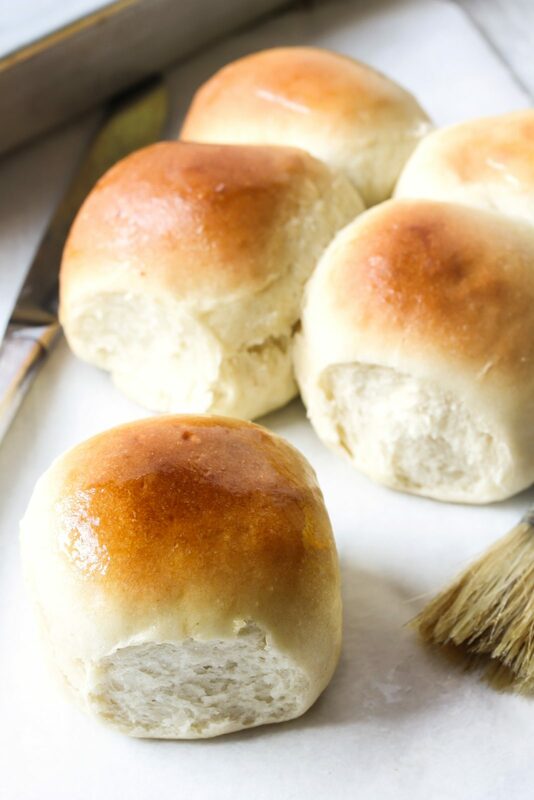 These buttery homemade dinner rolls are really something special. 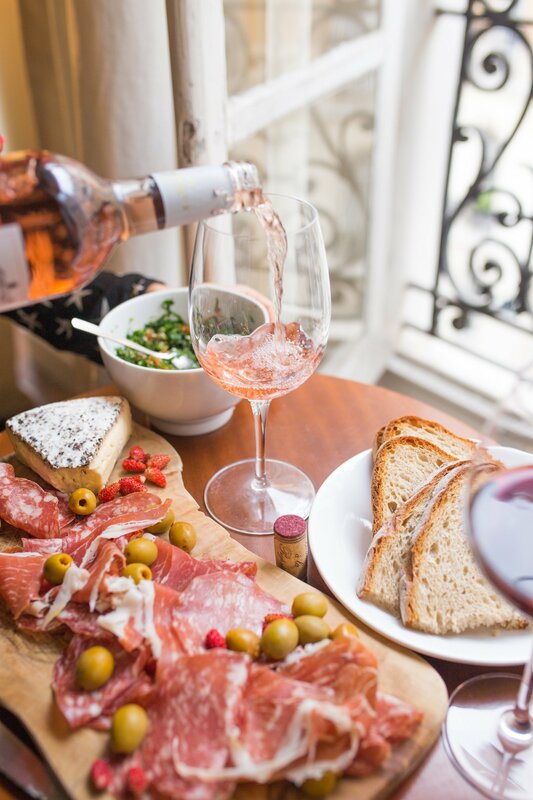 Perfect for the upcoming holidays or when you’re feeling ambitious in the kitchen. These warm, buttery rolls only take a little hands-on prep (the yeast does all the work), and they will fill the house with the most delicious aroma. This is one of those posts that I wish had a scratch and sniff option… I can’t be the only one who can smell them through the screen! If you’re hosting Thanksgiving, the thought of making your own dinner rolls probably sounds like a nightmare, unless you’re really ambitious. The beauty about this recipe is that it’s fairly simple, and with a little practice it’s a breeze. Another tip is to make these the day before. If stored properly, they’ll be equally as delicious and much more stress free. If you choose this method, I like to heat them a little before serving and brush them with melted butter. Combine 2 cups flour, undissolved yeast, sugar and salt in a large bowl. Heat milk, water and butter until very warm. Add to flour mixture. Beat 2 minutes at medium speed of electric mixer, scraping bowl occasionally. Add 1/2 cup flour; beat 2 minutes at high speed. Stir in enough remaining flour to make soft dough. Knead on lightly floured surface until smooth and elastic, about 8 to 10 minutes. Cover; let rest 10 minutes. Divide dough into 24 equal pieces; shape into balls. Place in greased 8-inch round pan. Cover; let rise in warm, draft-free place until doubled in size, about 30 minutes. Bake in preheated 375 degrees F oven for 20 minutes or until done. Remove from pan; brush with additional melted butter, if desired. Serve warm.